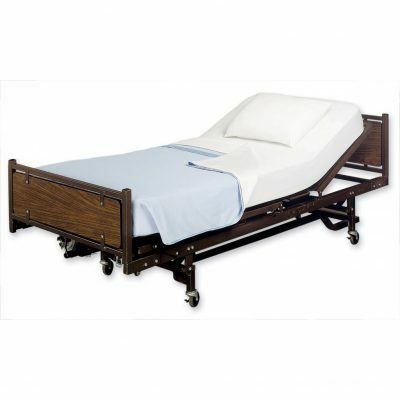 We provide a variety of hospital bed and medical bed options to suit your needs. The typical bed provided, as well as most cost-effective, would be the Semi-Electric Hospital Bed. This bed allows the user to adjust the head and foot of the bed electronically using a handheld remote. In order to adjust the height of the bed itself, the user or caregiver would use a crank, located at the foot of the bed. The Full-Electric Hospital Bed eliminates this crank, allowing the user to adjust the height of the bed electronically, as well as the head and the foot. 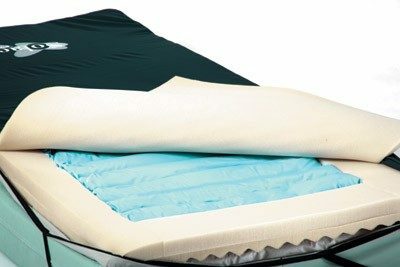 A fully electric bed is typically needed when the user requires a frequent adjustment of the bed height or if the caregiver does not have the upper body strength to use the manual crank. The next option available would be a Low Hospital Bed. Low beds are operated the same as fully electric hospital beds, the only difference is the low bed can bring the height of the bed all the way to the floor. This feature is necessary for transfers of some individuals. Lastly, Bariatric Hospital Beds and medical beds are an available option for individuals weighing over 350 lbs. and are operated the same as a full-electric bed.